What a charming Dwarf Sea Thrift! . Armeria Nifty Thrifty forms tidy little mounds of grass-like foliage with dark green leaves outlined with a band of cream, only to be topped with a hot pink flower in late spring. Quite attractive in front of darker foliage plants to show off its variegation. 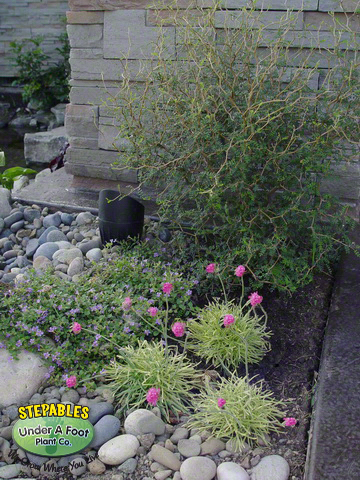 Great perennial for a container, border or between stepping stones. Perfect for a fairy garden carpet of grass. 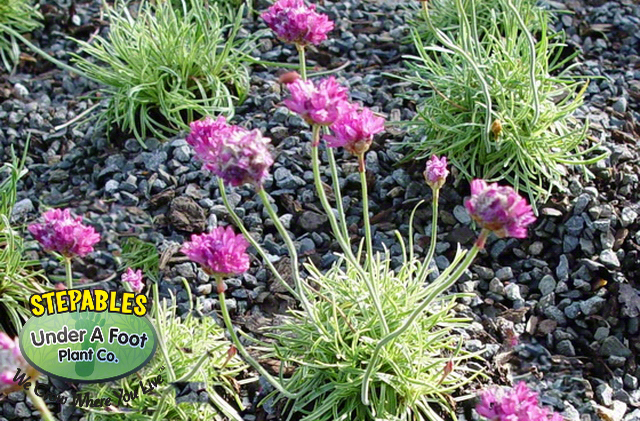 Armeria Nifty Thrifty is an adorable plant to use in containers, by your front entryway or in fairy garden! Cut off Spent blooms to keep the color coming for weeks! !